I have well and truly fallen in love with Maleny. It has an effect on people, including me – its charm is undeniable. I used to only call myself a Brisbane Wedding Photographer, but these days I also advertise myself as a Maleny Wedding Photographer. I want to be there as often as possible. Maleny is such a visually beautiful place. Many clients have asked me to photograph their wedding there and I never get tired of it. It’s their reaction to the surroundings that gives me the greatest buzz. Maleny has a freeing effect on the soul. Maleny is also home to a collection of wedding venues run by people who truly love what they’re doing. That passion and dedication to the ultimate wedding experience is undeniable and has a direct effect on my photography. Every wedding I’ve captured there overflows with images of happy people loving every minute of their very special day. Even though I’ve captured a lot of weddings in Maleny, there are still so many locations around the area that I haven’t yet explored photographically. I often drive around the town on my days off just to see what else I can find and I still come home thinking, “I need to go back again”. 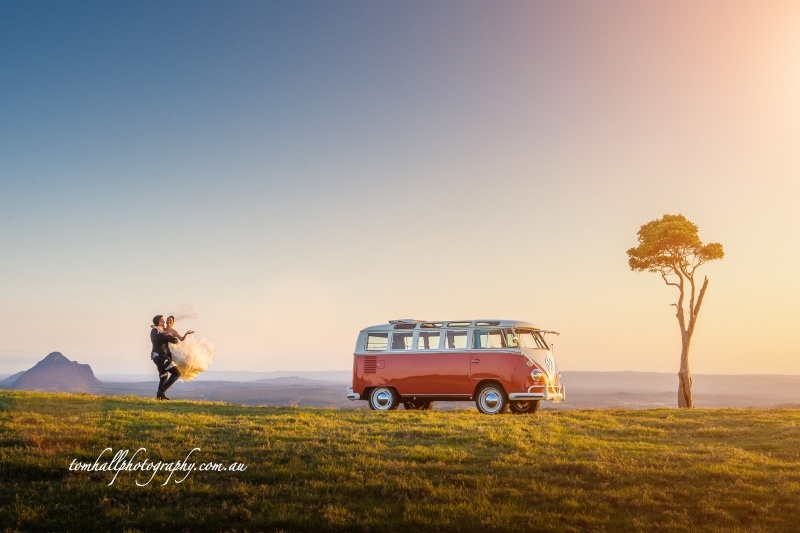 With great weather, beautiful colours, caring and passionate people, amazing food and incredible views, you simply can’t go wrong celebrating your wedding in Maleny. It really does feel like a second home to me. If you’re looking for a photographer to capture your Maleny wedding I hope you’ll consider me. I love it there!